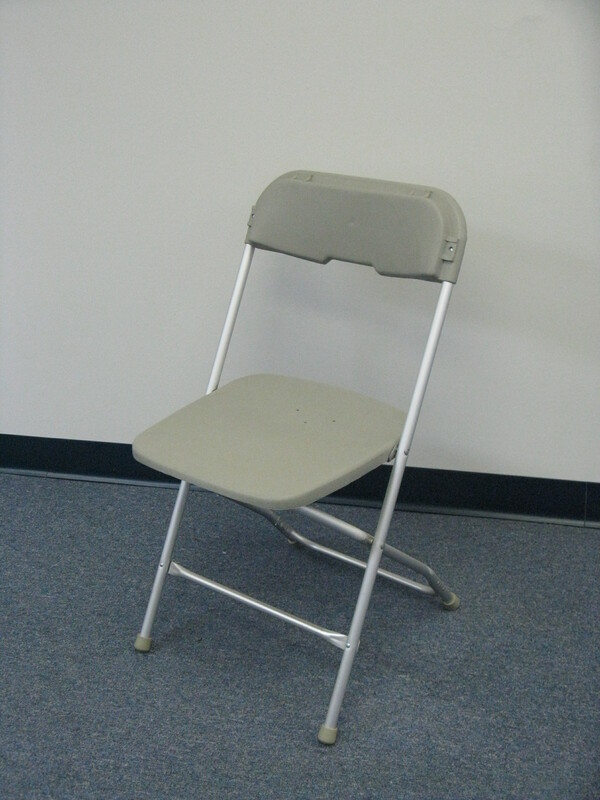 Metal frame with a vinyl seat and seatback. 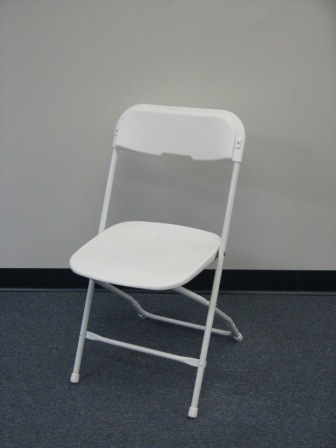 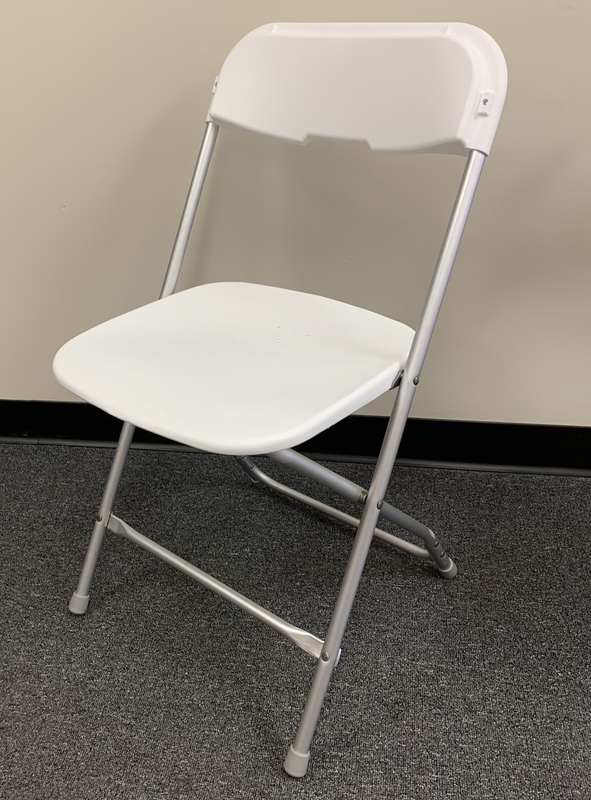 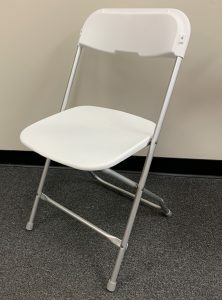 We guarantee that our white folding chairs will NOT have any rust or rust spots on them! 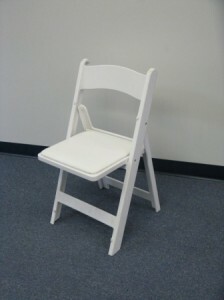 Classic wedding chair, perfect when your event calls for a more formal, elegant chair. Timeless look.